Researchers at the University of Toronto’s Ontario Institute for Studies in Education are playing a leading role in addressing the unique mental health challenges that young people face in today’s world. From shedding light on how parents and schools can better support young adults to exploring how social media platforms can support the well-being of Indigenous youth, here are some of the ways OISE experts are making an impact. For some, Twitter is a platform used for entertainment. For others, it can be a vital resource for supporting mental health. Understanding how social media and communications platforms can help to enhance and promote the well-being of Indigenous Peoples is the focus of a new research project, funded by the Social Sciences and Humanities Research Council and led by Jeffrey Ansloos in partnership with Twitter. For many Indigenous communities, social media offers an important means of connection that’s essential to well-being. Indigenous people have formed networks on Twitter around Indigenous language revitalization. Through other hashtag-constituted communities, Indigenous Peoples are reconnecting to traditional artistic practices, such as beadwork. Activities like these that foster connection and a sense of community are vital for promoting Indigenous mental health and well-being, says Ansloos. Ansloos’s passion for mental health is closely tied to his desire to improve the lives of the next generation of Indigenous youth. Jeffrey Ansloos is an assistant professor of Indigenous mental health and social policy. He is a member of Fisher River Cree Nation (Ochekwi-Sipi; Treaty 5), and is of mixed Nehiyaw (Cree) and English heritage. For the first time in 130 years, more young adults are moving back in with their parents – or never leaving in the first place. In 2016, nearly one-third of Canadians aged 20 to 34 were living with a parent. In the transition to adulthood, many of these young adults are striving to establish their identity as well as career and financial stability. It can be a particularly stressful and difficult period. Yet, Associate Professor Abby Goldstein believes that parents living with their young adult can play an important role in supporting their child’s mental health and well-being during this time. Finding out how is the focus of her new research, supported by the Social Sciences and Humanities Research Council. Goldstein, who is the Canada Research Chair in the Psychology of Emerging Adulthood, has been collecting data from young adults on their daily interactions with parents to understand how they affect mental health. It turns out these interactions are extremely important. Goldstein says that down the line she hopes to develop interventions that support parents and young adults in building relationships that facilitate healthy transitions into adulthood. Dr. Abby Goldstein is an associate professor in the department of applied psychology and human development. Her research focuses on risk behaviours in young adulthood, including alcohol use, marijuana use, gambling and dating violence. Studies have shown that as many as one in four undergraduate students in Canada are experiencing mental health concerns. The stakes are high. Research shows that three-quarters of lifetime mental disorders first appear between ages 18 to 24, the typical age range of post-secondary students. Left untreated, young adults are at increased risk for academic under-performance and attrition, as well as physical and mental health problems later in life. It’s this desire to improve the long-term mental health and well-being of young adults that drove Hamza, a lifespan developmental psychologist, to dedicate the past decade to studying their mental health. Right now, she is working on a project funded by the Social Sciences and Humanities Research Council that seeks to understand the unique stressors faced by first-year post-secondary students and how these stressors impact coping behaviours. Focusing on this demographic is important because for many students, the transition to post-secondary education can be particularly influential on mental health, Hamza says. “Navigating new roles and responsibilities such as living away from home or managing academic and financial pressures can be very challenging, leading to stress, anxiety, and other overwhelming negative emotions,” Hamza says. "While many cope well, others have more difficulty – turning to harmful coping behaviours like binge drinking, substance use and self-harm. Hamza hopes this research project, which began with a survey of first-year undergraduates at the University of Toronto last fall, will help schools develop targeted programming to mitigate stressors as well as support students in developing more effective coping behaviours. Dr. Chloe Hamza is an assistant professor in the department of applied psychology and human development. 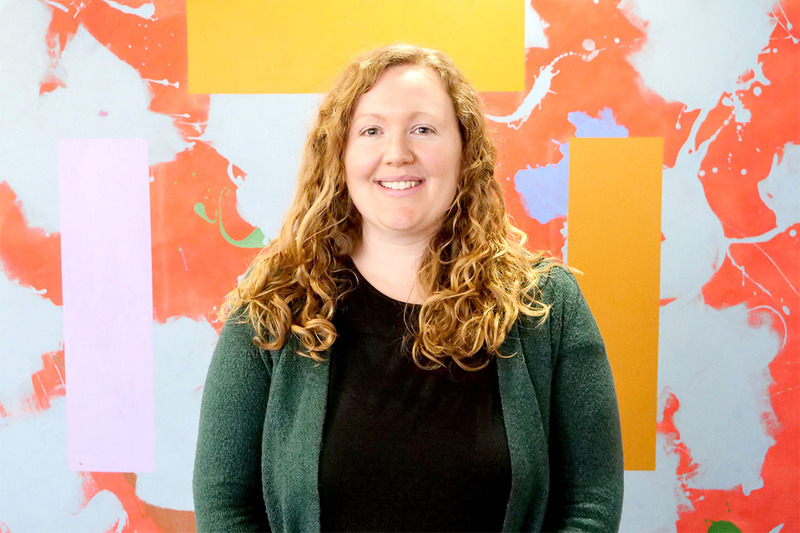 Her research program focuses on the development of mental health concerns in adolescence and young adulthood, particularly self-injurious behaviours.